ABOUT THE PROPERTY: Brinkley’s Estate Agents are excited to offer this beautifully-refurbished, split-level apartment, located within easy reach of Wimbledon’s Northern and District line tube stations, National Rail and Thames Link stations. The first floor of the apartment consists of a great, open-plan kitchen and living room, two double bedrooms and a bathroom. 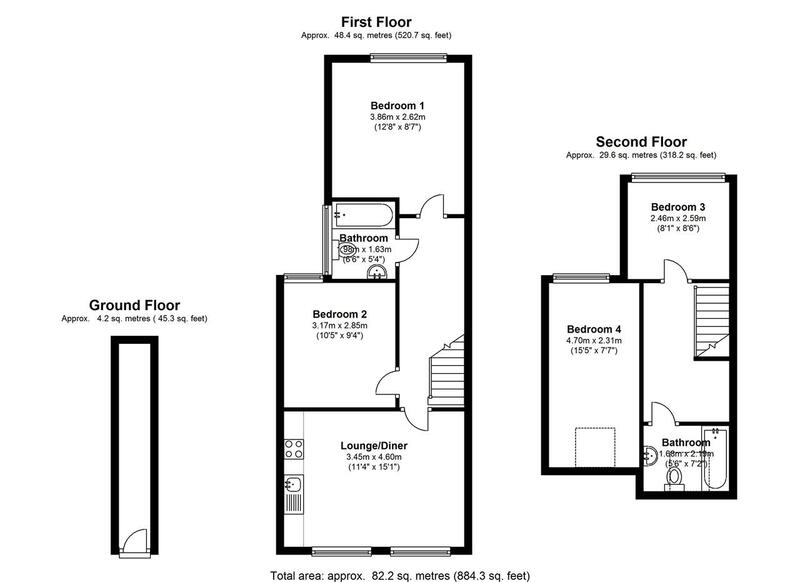 To the second floor you have another bathroom and a further two double bedrooms. The property is offered either furnished or unfurnished and is ideal for professional sharers. The property MUST BE SEEN and can be viewed by appointment only.